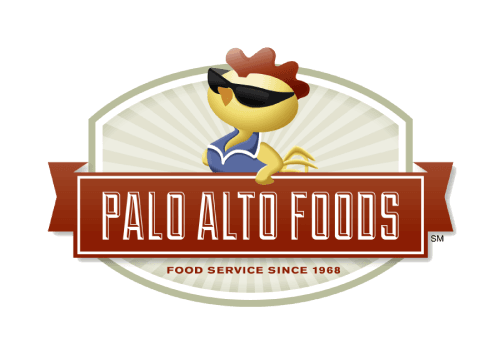 Local & Trusted Beverage Brands - Palo Alto Foods Inc.
Just a taste of some of the beverage brands we proudly supply our valued customers! Boylan’s Bottling Company – The Boylan Bottling Company has been making sodas in small batches since 1891. We weren’t the only one making sodas back then, but unlike many of the mega brands conceived in that same era, Boylan has remained true to its roots and committed to producing only authentic handcrafted soda. Boylan hand-crafted sodas stand on their own and they speak for themselves – no hype, no marketing gimmicks. While their sodas may cost more per ounce than the big soda pop brands, all of that cost is in the product…not paying for slick ad campaigns and celebrity spokespeople. They have learned that the best way to sell sodas is simply to be the best, and the accolades and awards they’ve received tell everyone that they’re doing a pretty good job. Calafia Farms – Califia Farms (Califia, pronounced Tom Rathman Womens Jersey like California),is the better beverage company that squeezes and presses fruits and nuts from the orchards of the San Joaquin Valley to bring you beautifully bottled goodness – all proudly boasting the Non-GMO Project Verified Label. 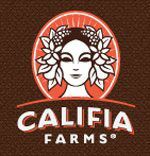 Califia Farms’ instantly iconic packaging now symbolizes quality, great-tasting alternatives to traditional dairy, translated stylishly and deliciously into their Iced Coffees with Almondmilk. The California Citrus Juices come in 48-ounce carafes of refreshing Orange Juice, Lemonade, and Lemon-Limeade. Green Planet Water – Green Planet Bottling introduced Green Planet bottled water packaged in a bottle made from 100 percent plant-based materials. The bottle is is petroleum-free, BPA-free and can be composted, recycled or reused, the company says. Whenever possible, the company sources water from within 500 miles of each market. It vapor distills and adds minerals to the water. Hint Water – Despite living in a city focused on great tasting food and healthy living, San Francisco’s Kara Goldin was amazed that she couldn’t find a delicious and refreshing drink for her or her family. Not one that didn’t have any diet sweeteners, sugars or other “functional” stuff added to it, anyway. • no preservatives, additives or anything else that you can’t pronounce. By taking nature’s original refreshment as the main ingredient and enhancing it with just a splash of delicious natural flavor, hint is a refreshing alternative to sodas, juices and other sweetened drinks without the empty calories or diet sweeteners. As one of the fastest growing beverages in the US, our drinkers now have a water that makes their mouth water. Honest Tea – Seth Goldman, co-founder of Honest Tea, drank a lot of liquids. An active person, Seth was continually in search of the perfect drink to quench his thirst after a run, a game of basketball or between grad school classes. Yet, Seth found most drinks either too sweet or too tasteless. Barry Nalebuff, Seth’s professor at the Yale School of Management, found that he and Seth shared a passion for the idea of a less sweet, but flavorful beverage during a class discussion of a Coke vs. Pepsi case study. They agreed that there were tons of sugary sweet options and lots of watery drinks, but in 1994, there was nothing in between to fill the void. Fast forward to ’97. Seth goes for a run in New York City with college friend who used to concoct juice drinks with him after class. As they found themselves doing the same beverage mixing after the run, Seth knew then that if he was going to quench his thirst for good, he would have to create the drink himself. He e-mailed Barry to see if he was still excited about the idea. Timing was everything. Barry had just returned from India where he had been analyzing the tea industry for a case study. Among other things, he learned that most of the tea American companies purchased for bottling was the lower quality dust and fannings left after quality tea had been produced. Barry had even come up with a name to describe a bottled tea that was made with real tea leaves–Honest Tea. When Seth heard the name, the simmering idea began to boil–it was the perfect name for an all-natural brand that would strive to create healthy and honest relationships with its customers, suppliers and the environment.Seth took a deep breath, quit his job at Calvert mutual funds, and started brewing batches of tea in his kitchen. Five weeks after taking the plunge, he brought thermoses of tea and a recycled bottle with a mock-up label to Fresh Fields (Whole Foods Markets). The buyer ordered 15,000 bottles, and Seth and Barry were in business–if they could figure out how to make that much tea. They did, and we’re still at it 15 years later. Ito En – ITO EN (North America) Inc. was founded in May 2001 with the mission of introducing ITO EN’s line of green tea products and establishing a culture and interest in authentic green tea in the United States and beyond. 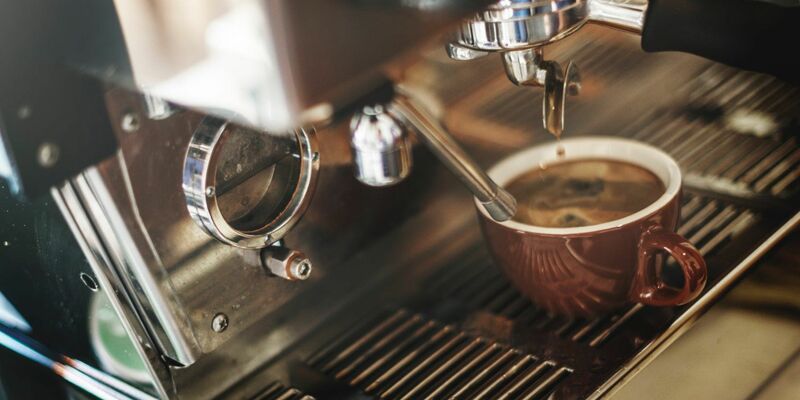 In order to accomplish these goals, the company developed a three-tier strategy, simultaneously entering the beverage wholesale, retail, and restaurant industries. In 2002, the Teas’ Tea line of natural, unsweetened bottled tea was launched. The product line functions as the centerpiece of ITO EN (North America) Inc. for it upholds ITO EN’s principles of Natural, Safe, Healthy, Well-Designed, and Delicious. The product was first introduced through wholesale distribution in New York City and the Tri-State area. The breadth of ITO EN (North America) Inc. is increasing through the development of new beverage and loose leaf tea products, the expansion of its distribution network to a national level, and the growth of its ecommerce operations. With the attention of industry, the media, and the public, ITO EN (North America) Inc. is well on its way to making green tea a true part of the new American culture. Lorina – Since 1895, 3 generations of “Maitres Limonadiers” have passed on their “savoir-faire,” producing a uniquely French Artisanal Soda. Lorina is carefully crafted using a time-honored secret family recipe. The All-Natural Artisanal Sodas are bottled daily, using only the best ingredients and natural fruit flavors selected from the best origins. Mighty Leaf Tea – Mighty Leaf Tea was born for the sole purpose of infusing life into an ancient indulgence by creating tea products that reach new heights of quality and innovation. The genesis of Mighty Leaf Tea came in 1996 as a result of a shared passion and dream envisioned by husband-and-wife team Gary Shinner and Jill Portman when they founded their teahouse on Fillmore St. in San Francisco. Their passion is for creating the most incredible handcrafted tea blends found anywhere, globally sourcing the finest ingredients available. Paralleling the highest standards of quality at Mighty Leaf Tea is ongoing creative innovation. Their specially created handcrafted Tea Pouches are designed to unleash the essence of the quality that is Mighty Leaf Tea. Supporting their quality and innovation is their promise to deliver the highest level of customer service excellence in serving you the finest tea products available. Millennium Products – The cactus is one of nature’s finest foods for bolstering the immune system. The sheer number of phytochemicals found in nearly all species of cactus makes it a highly desirable and sought-after plant food. Millennium Powder Beverage contains a delicious blend of cactus, orange, lemon and stevia to form an excellent source of phytonutrients. Numi Tea – Numi inspires well-being of mind, body and spirit through the simple art of tea. Our company is rooted in the principle of creating a healthful product that nurtures people and honors the planet. In all of our company initiatives, we strive to foster a healthy, thriving global community while bringing you the purest, best-tasting organic tea. Spindrift – Spindrift is America’s first soda made with fresh squeezed ingredients. Spindrift hopes to change how America experiences sodas. We start with triple purified sparkling water, fresh squeezed fruit or berry purée (pulp and all! ), and a dash of cane juice. No syrups, no juice concentrates, no additives, no preservatives. The result is a light, refreshing, delicious soda.